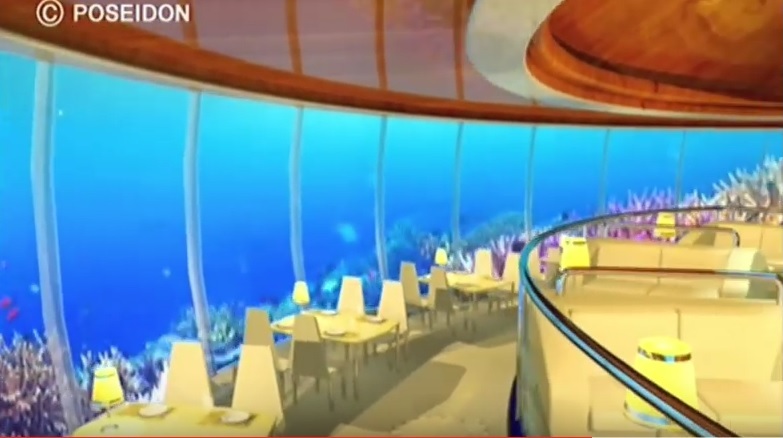 Have you ever considered underwater lodging for your next vacation? There is currently a large number of underwater hotels offering from the most basic to the most luxurious of accommodations available to suit your needs. 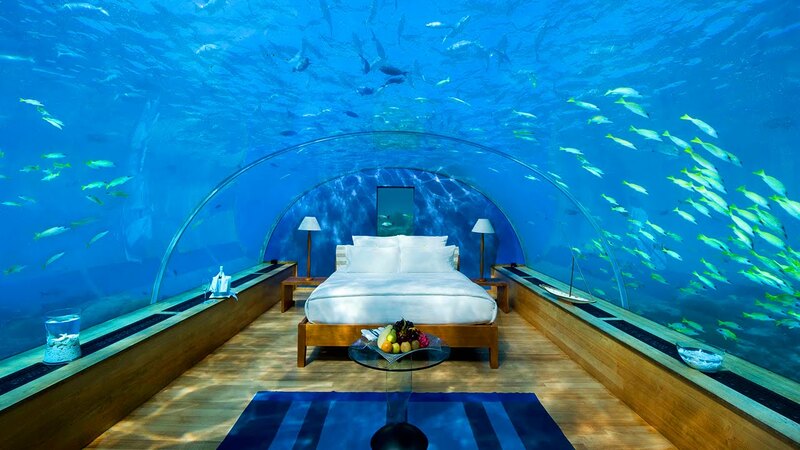 These underwater accommodations are typically located in exotic tropical settings at various locations round the world. If you are a diver and concerned about your surface intervals… no worries. many of these hotels offer underwater accommodations at surface level pressures. Most recently ( November 2018) The Conrad Maldives Rangali Island has opened the world’s first underwater hotel residence. This a complete luxury residence residence like none other in the world. It’s name is “Muraka” and it’s located about 16 ft below the surface of the Indian Ocean. At about $50k per night it may be a little over budget, but you can take a sneak preview of this underwater residence and what was involved in its construction in the video below. The Atlantis Hotel on Palm Island is considered one of the most luxurious offers two submerged rooms that look out onto the Ambassador Lagoon. The most basic and first underwater hotel in the world is the Jules’ Undersea Lodge which began service as an underwater research Lodge. Surprisingly, by the way, it is the only underwater hotel in the US. First underwater hotel in Tanzania. See Next page Below for a video tour of 10 incredible underwater destinations.